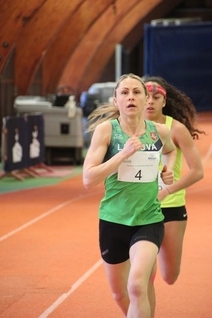 Many of the biggest names in Pentathlon gathered at the French sports institute (INSEP) near Paris to compete in the National Open Tetrathlon Criterium on March 16-17. It was another landmark moment for the French pentathlon community in the run-up to the Paris 2024 Olympic Games, and the competition was attended by students of the OISE Olympic Classes. The women’s event featured a clash between the London 2012 Olympic champion, Laura Asadauskaite of Lithuania, and the Rio 2016 Olympic silver medallist, Elodie Clouvel of France. After a compelling battle, Asadauskaite (LTU) claimed gold ahead of the local favourite Clouvel (FRA), with Freyja Prentice (GBR) winning bronze. Many members of the French team, which won Team of the Year at the UIPM 2018 Annual Awards, took part. Surprisingly, world No.2 Valentin Prades was beaten to the podium by gold medallist Alexandre Henrard (FRA), runner-up Pierre Dejardin (FRA) and 2016 world champion Valentin Belaud, who claimed bronze. High-ranking athletes from Italy, Sweden, Canada, Australia, Chinese Taipei, Greece, the Czech Republic and Switzerland were also represented. Christian Roudaut, head coach of the France team and Chair of the UIPM Coaches Committee, said: “The competition was a success, welcomed by participants and spectators, and students from the OISE Olympic Classes provided strong support for all athletes.